JAMMU: A female Pakistani intruder was shot dead and another was arrested by the BSF when they tried to infiltrate into Indian territory along the International Border (IB) in different sectors of Jammu division. The female intruder was killed in the Pargwal sector of Akhnoor tehsil last night, a senior BSF officer said. He said the BSF men deployed on the IB challenged her to stop but when she did not pay heed to the warning, she was shot dead by the jawans. A meeting was also held with the Pakistan Rangers where they were shown the pictures of the deceased woman and they agreed to accept the body, the officer said. The body would be handed over to the Rangers today. 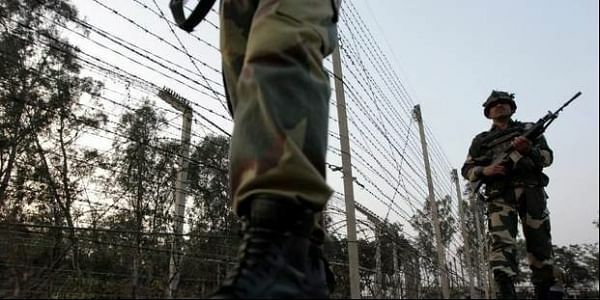 In the second incident, a Pakistani national moving in a suspicious manner near the border fence was arrested by the BSF in Kathua sector. The officer said that the questioning of the arrested person was going on.